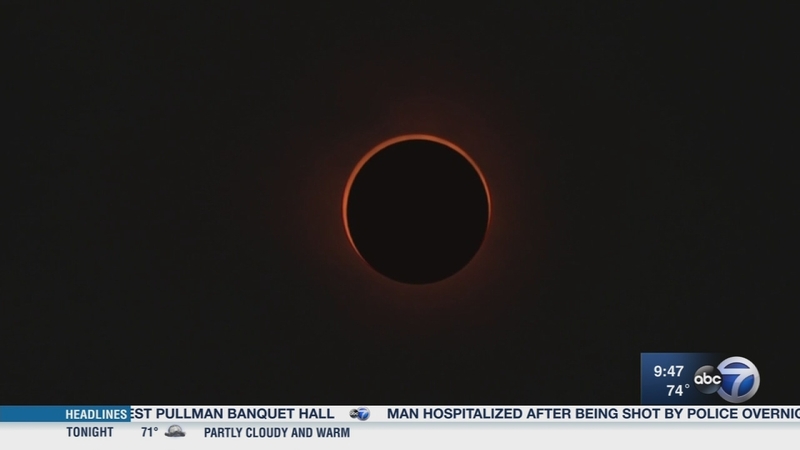 CHICAGO (WLS) -- People are flocking to see the first solar eclipse to cross the country coast to coast in 99 years. While Chicago isn't in the so-called path of totality, it's still going to be a quite a show. Events planned across the country and right here in Chicago for the Great American Eclipse. Talking about all this is Annie Vedder, curator of experience at the Adler Planetarium. People are flocking to see the first solar eclipse to cross the country coast to coast in 99 years.